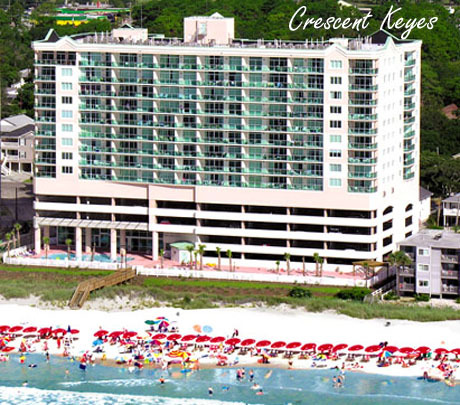 Crescent Keyes is a smaller, more private high-rise resort located oceanfront in the Crescent Beach section of North Myrtle Beach. Although there are less than 100 units in the beautiful tower, the amenities equal or exceed many of the larger resorts. Crescent Keyes condos are newer than many, being built around 2006. Furnishings are luxury oriented, and the units are very popular with vacationers, promising a good rental income. 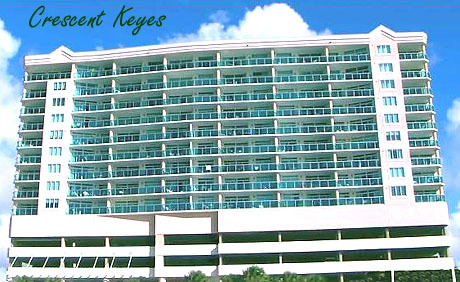 The Crescent Keyes condos are newer, and offer everything you could want in a permanent home or vacation condo. Contact us for a tour and more information. Listing courtesy of Mcmillan Real Estate Inc. , Joe Mcmillan. Listing courtesy of Condo-World Inc , Lynn Clyburn. Listing courtesy of Condolux Properties, LLC , Angalina Stanya.